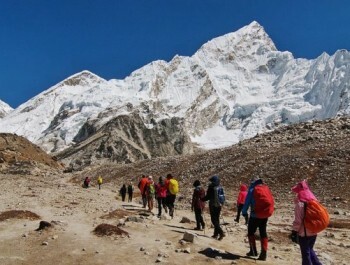 The reason is essentially virgin territory for trekkers. 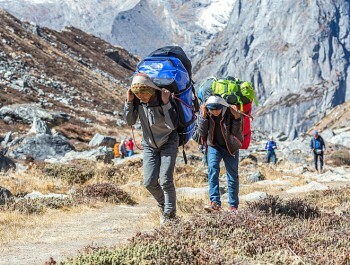 Trekking off the main trail is not only possible, but can be extremely rewarding, even if you do need a sense of adventure and a better ability to cope with contingencies. 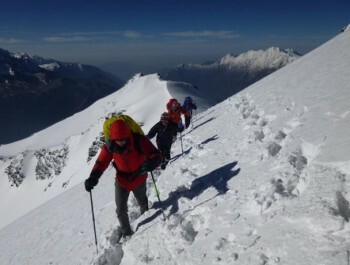 Geographically Dhaulagiri region is a land of dramatic contrasts. In the near tropical Pokhara valley, steep slopes climb a snowy peaks of over 8100 meters to the northern border with Tibet. Dhaulagiri I, the sixth highest mountain in the world, towers above the well-Muktinath pilgrim path up the valley Kaligandaki. The wide screen is massive hidden land of Dolpa north and west of I are the western hills of Nepal. By following the rivers upstream, ferns and forests of oaks and other deciduous trees and gin are interesting. Slopes of Mount Blaze with rhododendrons in spring colors, and other flowers are abundant on the runway. Even on the high mountain passes above the tree line, tiny alpine flowers can be financed windswept dotting the ground. It is also an opportunity to discover the Tibetan Buddhist culture that is outside the Himalayas.